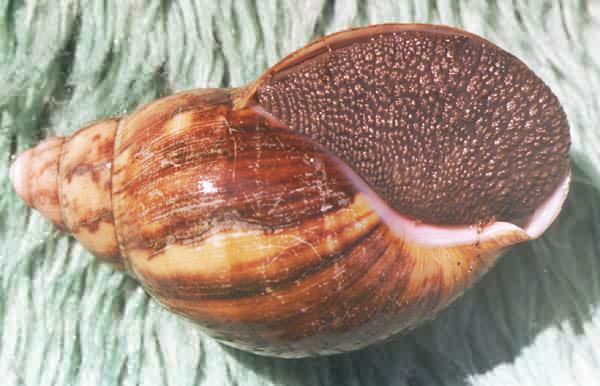 These are marvellous Archachatina marginata. 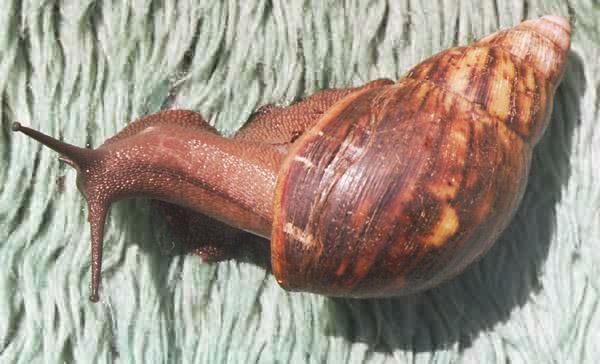 Their shells can reach 15-17 cm long. Their body is chocolate-coloured; a head is almost black. There are some snails with a light body. The top of shell is round. They lay 3-10 eggs, about 2 cm big!.